La lactancia materna. Mejor para el bebé. Mejor para la mamá. The U.S. Department of Health and Human Services’ Office on Women's Health (OWH) was funded to carry out the recommendations of the HHS Blueprint for Action on Breastfeeding (archive), into a National Breastfeeding Awareness Campaign to promote breastfeeding among first-time parents (mothers and fathers) who would not normally breastfeed their baby. The overall goal of the campaign was to increase the proportion of mothers who breastfeed their babies in the early postpartum period to 75% and those within 6 months postpartum to 50% by the year 2010 (Healthy People 2010). The campaign aimed to empower women to commit to breastfeeding and to highlight new research that shows that babies who are exclusively breastfed for 6 months are less likely to develop ear infections, diarrhea, respiratory illnesses, and may be less likely to develop childhood obesity. Besides trying to raise initiation rates, the campaign stressed the importance of exclusive breastfeeding for 6 months. As a part of the National Breastfeeding Campaign, a media campaign was launched in June 2004. The Advertising Council selected the National Breastfeeding Awareness Campaign for official sponsorship. OWH worked in close coordination with the Advertising Council to implement the campaign. 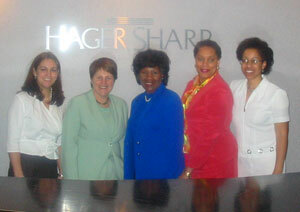 Although the educational awareness campaign has ended, continued promotion efforts are underway with a communications contractor, Hager Sharp. This includes a World Breastfeeding week media event, print media coverage and radio interviews. The media campaign is based on the goals, objectives and recommendations of the HHS Blueprint for Action on Breastfeeding (archive), and is primarily targeting first time parents who would not normally breastfeed. The campaign is being marketed in partnership with strategically selected organizations and is employing state-of-the-art communication techniques through a variety of channels and strategies through public service announcements for television, radio, newspapers, magazines, mass transit shelters, billboards and the Internet. With the exception of the television and radio PSAs, all campaign components will be available throughout 2006. The television ads expired 12/31/2005 and the radio ads expired 4/20/2006. Sixteen Community Based Demonstration Projects (CDPs) throughout the United States worked in coordination with the Office on Women's Health and the Advertising Council to implement the National Breastfeeding Awareness Campaign at the local level. The CDPs, which include breastfeeding coalitions, hospitals, universities and other organizations were funded to offer breastfeeding services, provide outreach to their communities, train healthcare providers on breastfeeding, implement the media aspects of the campaign, and track breastfeeding rates in their communities. 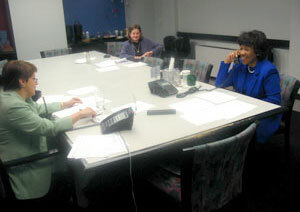 On March 25, 2003 Dr. Suzanne Haynes and Mrs. Deloris Jordan took part in a radio media tour for the National Breastfeeding Awareness Campaign to kick off the 1-800-994-9662 Breastfeeding Helpline and web site, www.womenshealth.gov/breastfeeding. in the U.S. Department of Health and Human Services. You may need to download a free PDF reader to view files marked with this icon.